Stainless steel nails have grown to become one of our most popular ranges of nails due to the popularity of cedar and larch cladding, in which stainless steel is the only finish that can be used for fixing the timber. The most common type are standard annular ring nails or "round heads", which have a ribbed shank in order to maximise the grip and maintain a tight hold of the fixing. Each size of these nails features a defracted head to prevent a bright reflection. This is an important factor to consider if the nails are going to be visible as it can be unsightly. We also offer two types of lost head nails: annular ring lost heads and normal smooth shank lost heads. Firstly, it is important to clarify what is meant by “lost head nails”. It would seem fairly obvious that this would mean that the nail does not have a head, which is correct for most lost head nails, but it actually refers to the purpose of the nail rather than the appearance. They are called “lost heads” because when they are hammered into the wood, the head gets “lost” and so they should not be visible to the naked eye. This is very important if you want to maintain a purely wooden look with your cladding. The annular ring lost head nails are very popular because they offer extra grip into the wood. 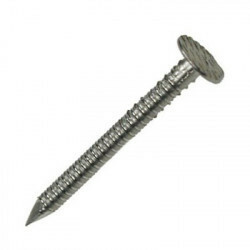 This type of nail does feature a very small head, but staying true to the name, they are designed so that the head gets “lost” into the wood and is not visible. 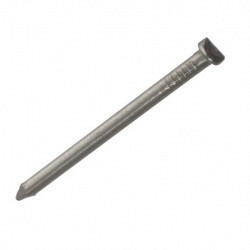 The other type of lost head nail has a smooth shank and does not feature a head. As a result of this they are much lighter so you should get more in each kilo pack than the annular ring alternative. If a large head is of importance to you then we offer clout nails, which typically have a head diameter that ranges between 6mm to 9mm. They are just like our standard annular ring nails but with a slightly larger head. 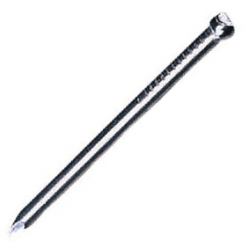 Clout head nails are more commonly used for securing roofing tiles and slates. Another factor that can be important in your choice of nails is the finish grade. 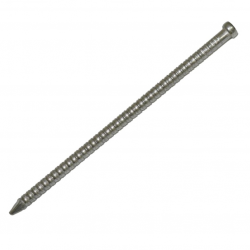 Our stainless steel nails come in either A2 (304) or A4 (316) grade which refers to the level of corrosion resistance that the finish provides. A4 grade offers a higher corrosion resistance and is advised to be used in particularly damp areas like coastal regions. If your nails will be used more towards the inland, then we advise to purchase A2 grade nails. You will find A4 alternatives in our standard annular ring nail range – they are currently unavailable in the lost head variations.